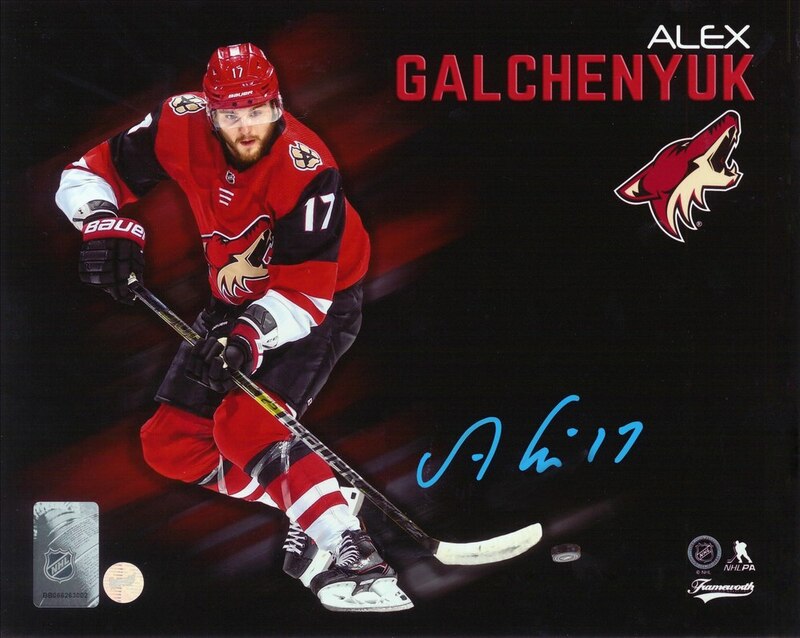 This collage comes personally signed by Arizona forward, Alex Galchenyuk. Galchenyuk was drafted third overall by Montreal in the 2012 NHL Entry Draft. After calling Montreal home for the first 6 years of his career, Alex Galchenyuk was traded to Arizona in a blockbuster deal bringing Max Domi to Montreal in exchange for Alex Galchenyuk. Galchenyuk finished his 2018 season with 19 goals and 32 assists prior to being traded. This NHL and NHLPA licensed product is accompanied with a Frameworth hologram and COA to ensure the authenticity of the signature. Frameworth is the exclusive provider of Alex Galchenyuk signed memorabilia.